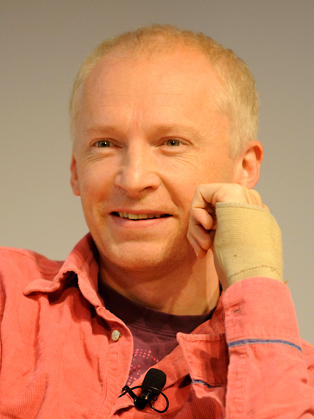 Marcus du Sautoy is the current and second holder of the Simonyi Professor of the Public Understanding of Science at Oxford University. A natural communicator, he is especially passionate when it comes to popularising maths - showing how it affects every aspect of our lives from simple counting to any form of trade, and even the homes in which we live. Marcus also writes for The Times, The Daily Telegraph, The Independent and The Guardian. He is a regular contributor to television and radio; as well as ‘Mind Games’ on BBC 4, du Sautoy has presented three Horizon programmes on BBC2 – ‘The Hunt for AI’, ‘How Long is a Piece of String?’, and ‘What makes a Genius?’. He has also battled for a chance to perform at the Royal Opera House in BBC 2’s latest Maestro series, and was a weekly contributor on Dara O Briain: School of Hard Sums, which aired in early 2012 on Dave; ‘A Brief History of Mathematics’ was Marcus’ ten-part series for Radio 4, profiling famous mathematicians. In 2001 he won the prestigious Berwick Prize from the London Mathematical Society, and in 2004 Esquire Magazine chose him as one of the 100 most influential people under 40 in Britain. The Guardian has described him as the ‘de facto public face of maths’. In 2001, Marcus was winner of the Berwick Prize of the London Mathematical Society for his achievements and contributions to Mathematics. In the 2010 New Year Honours, he was appointed an OBE. In his presentations, Marcus explains how mathematicians supplied the codes on which the world now relies for internet transactions or sending confidential data. How secure are these codes? Can we make them uncrackable? With film clips and animation, Marcus offers a compelling insight into the science of cryptography. In another he shows that maths is in effect the science of pattern searching, and a powerful tool to help predict what is likely to happen in the future. It provides the language and the models to enable companies to analyse ever larger amounts of data, to pick out trends or detect fraudulent activity; but Marcus also demonstrates how these patterns can remain hidden until you look at things in a new way - and why lateral thinking is so important. From predicting the future to the maths at the heart of the internet and electronic communications, from ‘lucky’ numbers to engineering, sport and art, Marcus looks at the numbers, patterns, codes and algorithms the underpin everything. How secure is online security? Can it ever be ‘uncrackable’? How are trends and data analysed accurately? Marcus also demonstrates how underlying patterns can remain hidden until you look at things in a new way - and again why lateral thinking is so important. Marcus’s first non-academic book, The Music of the Primes, was translated into 10 languages, and won major prizes in Italy and Germany as the best popular science book of the year; this was followed in 2007 by Finding Moonshine, an exploration of the importance of symmetry in everyday life. Marcus’s latest book, The Number Mysteries, is adapted from the Royal Institution Christmas Lectures he gave in 2006.